"Spring is here! Spring is here! I'm so exited that I wet my plants!" Join Greenhouse Garden Center, David and Julie Ruf, and all the staff as we celebrate 41 years in business at this same location. This month is chock full of sales, promotions, and great classes. Don't miss our best sale of the year, our 41st ANNIVERSARY SALE on April 11-12 during normal business hours. Everything nursery-wide will be on sale and, best of all, you will be able to use your Rewards program. If you have not already signed up for our Rewards program now is the time to do that. By signing up for Rewards, you save 5% on every $100 you spend. On April 25th, we are pleased to have as guest speaker Thomas Chaplin, Program Manager of Dr. Earth, for our class "Gardening Naturally With Organics". Don't forget to catch David on KTVU News Channel 4, Friday mornings at 6:00 AM with seasonal garden tips. 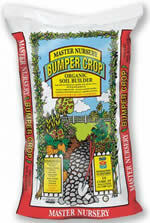 Starting this month, Greenhouse Garden Center will be the exclusive dealer for Full Circle Compost. They will be closing their Douglas County store front and selling their products here. We will have 2-4 blends available at Full Circle pricing. We cannot emphasize enough the importance of amending your soil in Northern Nevada. Healthy plants start with healthy soil. Full Circle Compost products are approved for Certified Organic Use in Nevada. Seminar, "Spring Tune-up For Irrigation Systems", Speaker - David Ruf, 10 AM. Potatoes are one of the first food crops you can plant in spring. Like peas, spinach, and onions, they are planted as soon as the ground is dry enough to dig. If your garden is slow to thaw, don't worry. As long as you get the crop planted four weeks before yous last frost, it should do well. Typically, the last frost date will be around the end of May. The varieties are grouped by "Maturity" days which are the date of planting to harvest, on average. Each potato tuber is a complete package, containing enough water and nutrients to get the plant off to a good start. It just needs well-drained soil and full sun. In temperate climates, irrigation isn't an issue; for many farmers and gardeners, potatoes are dry-land crops. One to two inches of water per month between planting and harvest is enough to produce a crop. We guarantee that all the potatoes here at Greenhouse Garden Center are certified seed potatoes. This guarantees that they are disease free. The listed varieties are all available here. Mark Roberts isn't just for Christmas anymore at Greenhouse Garden Center. Seasons, our premier gift shop, is now carrying selected Mark Roberts fairies for all occasions and seasons. Beauty Beyond Belief is a heirloom seed company that packages wildflower mixes specific and native to our area. Choose from such blends as Sierra Nevada Wildflower Mix, Nevada Wildflower Seed, Drought-Tolerant Wildflower Mix, Bee Rescue Wildflower Mix and more. EB Stone Organics fertilizers now come in resealable, weather-proof bags and are a economical alternative to other organic fertilizers, without loss of quality. This new generation of fertilizers combine the merits of organic ingredients with the benefits of soil microbes and humic acid. Currently, Greenhouse Garden Center has lawn fertilizer, All-Purpose, Rose & Flower and Tomato & Vegetable fertilizers in the EB Stone Organics line-up. Greenhouse Garden Center is pleased to be offering the Evergreen Azaleas, Girard varieties, this season. They are prized for their heavy, reliable crop of flowers that bloom in the spring and their compact and tidy form. This plant is an acid-lover and benefits from afternoon protection from sun and wind. The picture illustrates the Fuscia variety. We are also carrying the Scarlet, Renee Michelle, Pleasant White, and Rosebud varieties. They are in a #2 containers and retail for $28.99.